Today our CEO, Marina Tognetti, has been presenting at WEF Women Economic Forum in Den Haag, hold on this day also in celebration of The International Women Day 2018. 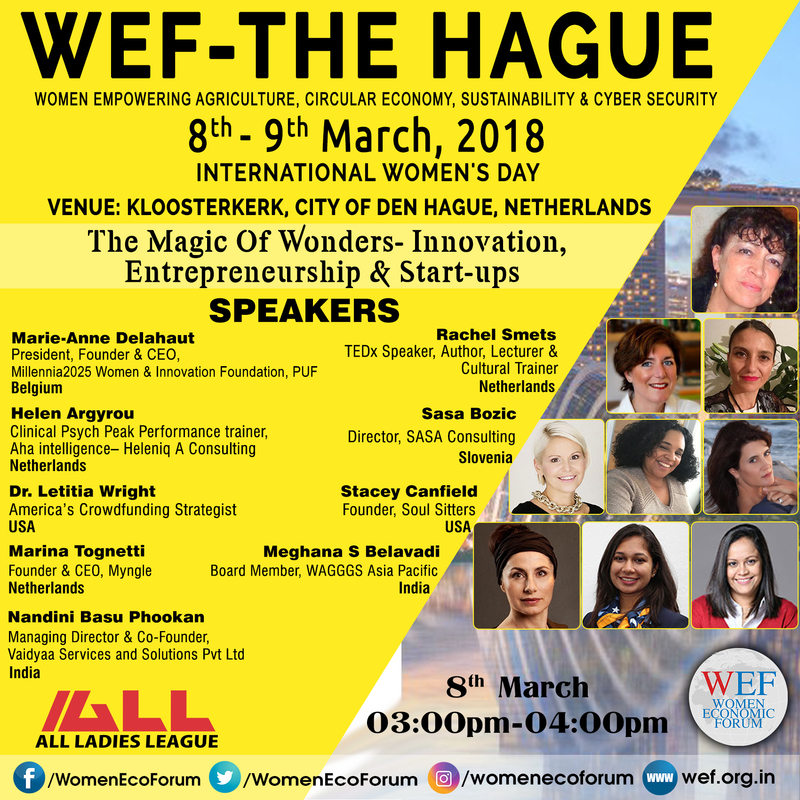 She was a speaker in the plenary The magic of wonders – Innovation, Entrepreneurship and Start-ups talking about her experience as female tech entrepreneur. Her personal quest is to help breaking the barrier that separates women from technology, hoping that by sharing her story she can inspire more women to start the challenging journey of entrepreneurship, changing the perceptions and stereotypes of women in tech. Technology is in fact revolutionizing every part of our life, yet women are still not participating in this revolution in sufficient numbers. The question keeps on coming back over and over again: why are there so few female tech entrepreneurs? The ‘’infamous’’ numbers are all too well known: only 5% of tech start-ups are owned by women. Women are as innovative as men and companies run by women are as successful, but when we look at the tech world – which is now the driver of innovation- we still see so few women leading the way. The most important lesson in entrepreneurship is that change is the key to success. Change requires guts and honesty and real strenght. “A strong leader is not the one without faults, as we all have faults, but that which is so self-confident to be able to show her vulnerabilities without being scared that it would impact her power.” This can be the strength of a female entrepreneur. For her contribution as woman in technology, Marina received today the Award Exceptional Women of Excellence 2018. This entry was posted on Thursday, March 8th, 2018 at 6:10 pm	and is filed under Uncategorized. You can subscribe via RSS 2.0 feed to this post's comments. You can comment below, or link to this permanent URL from your own site. Your comments will appear immediately, but I reserve the right to delete innapropriate comments.